Author: Owen, Frank Set In . . .
Outrageous parties. Brazen drug use. Fantastical costumes. Celebrities. Wannabes. Gender-bending club kids. Pulse-pounding beats. Sinful orgies. Botched police raids. Depraved criminals. Murder. Welcome to the decadent nineties club scene. In 1995, journalist Frank Owen began researching a story on Special K, a designer drug that fueled the after-midnight club scene. He went to buy and sample the drug at the internationally notorious Limelight, a crumbling church converted into a Manhattan disco, where mesmerizing music, ecstatic dancers, and uninhibited sideshows attracted long lines of hopeful onlookers. Owen discovered a world where reckless hedonism was elevated to an art form, and where the ever-accelerating party finally spun out of control in the hands of notorious club owner Peter Gatien and his minions. 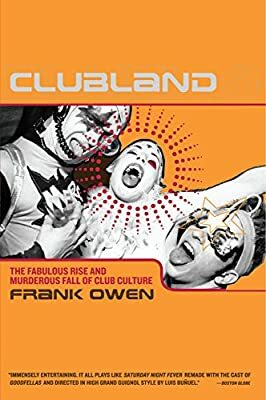 In Clubland, Owen reveals how a lethal drug ring operated in a lawless, black-lit realm of fantasy, and how, when the lights came up, their excesses left countless victims in their wake. Praised for his risk-taking and exhilarating writing style, Frank Owen has spawned a hybrid of literary nonfiction and true crime, capturing the zeitgeist of a world that emerged in the spirit of “peace, love, unity and respect,” and ended in tragedy.